Our seasoned, professional staff dedicate themselves to every golf event at our club. As a result, the hospitality is a regular source of compliments to Coweta Club at Arbor Springs Plantation. From the moment you book your tournament or outing with Coweta Club we go to work, tapping all of our skills and energies to serve the needs of your group. To explore your options for tournaments or outings at Coweta Club, please complete the form below to contact our staff. 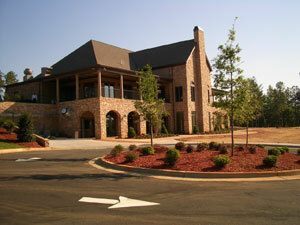 Many local businesses, clubs, and private groups pick Coweta Club as host to their annual golf events. Whether your event is to raise funds or to raise spirits, we guarantee the satisfaction of your guests. Contact us right away to reserve your date as soon as possible. The best dates fill-up quickly well in advance, so don't delay.